Watch the official video for Sketpa's new single. Now that Skepta's new single 'Shutdown' has been officially released, the Tottenham-born rapper has celebrated by unveiling its accompanying official music video. 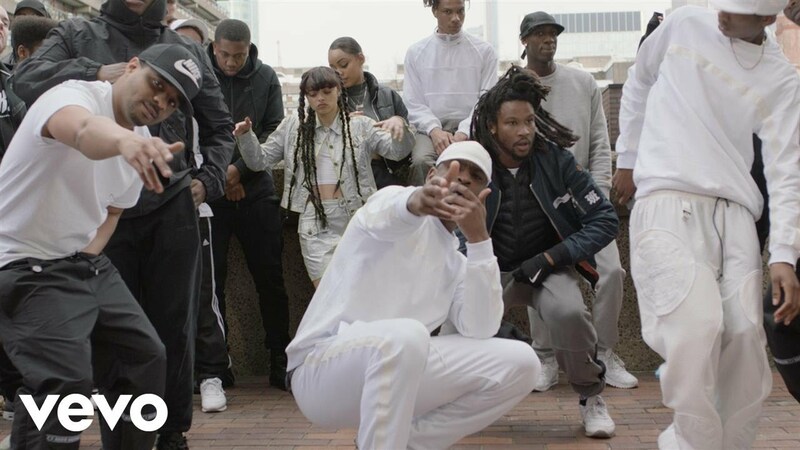 The three minute film, directed by FKA Twigs collaborator Grace LaDoja, sees Skepta and his crew, dressed entirely in monochrome, hanging out around London's Barbican. But as the sample of an angry Brit calling Kanye West's BRIT Awards performance, which Skepta joined him for, kicks in, night falls and the mood turns, with everyone changing into all-black. Last night Skepta joined Manny Norté on The Norté Show where he exclusively revealed a very big name that will be on the official 'Shutdown' remix.